Be careful what you wish for... "I'm actually a smart girl who would make any man an excellent wife. But no man sees that. No man is interested in my mind or personality, just my whatevers. So here is my wish: I'm board stiff. I want Adventure, Excitement, and Romance." So begins Piers Anthony's 38th Xanth novel, in which Irrelevant Candy looks at her reflection in the water of the shallow well and sees luxuriant midnight-black hair reaching down to her breathtakingly slender waist, matching the dark eyes in her lovely face. A torso that comes close to absolute perfection. She is man's desire. That is part of the problem. In the shallow magic of the well, she asks that her wish be granted. Something happens. A sudden whirlwind surrounds her, lifting her up and ripping off her clothing. She is changing somehow. Then she falls flat on the ground. Literally. She has been transformed into a flat, stiff board with two knotholes for eyes. 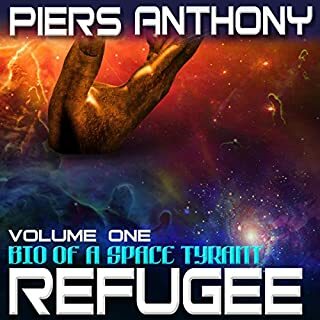 ©2013 Piers Anthony, This edition published in 2014 by Open Road Integrated Media, Inc. (P)2014 Audible Inc. 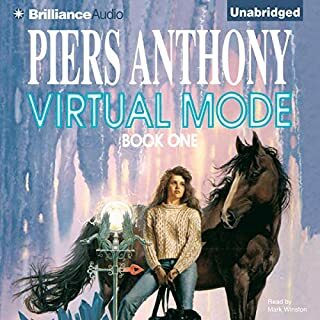 I stumbled upon Piers Anthony in my early teens when a PC game for Xanth was released with a full copy of a Xanth tale (back in the early 90's when anything digital was a thing of the future). I was immediately hooked and from that day on swooped up every Land of Xanth book I could get my hands on. 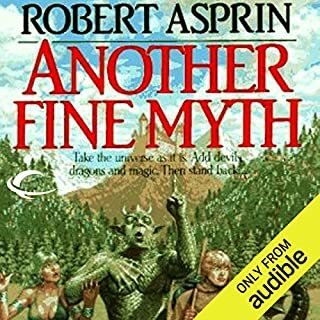 So seeing these on audible brought up many a good memory. 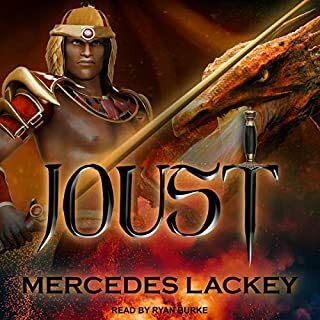 Some of the puns get lost between the written word and audio versions simply because it's all in the spelling of things... (ie: "Isle of View" vs. "I Love You") but I would still gladly use a plethora of credits (there are around 40 novels altogether) if audible would produce more than just the 3 works they currently offer. Especially if done in the hands of expert narrators. Matthew Josdal was a decent narrator, reminding me a lot of Nick Podehl who is one of my favorites, however it may fare better to have someone with a broader range of voice acting for the wide array of characters. In any event, I was rather pleased with this title overall and will continue with the other two books offered at the moment. 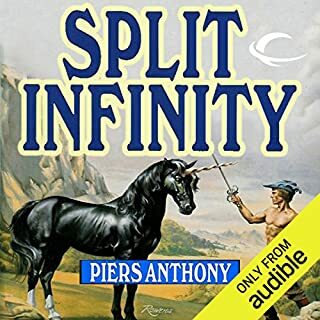 If you've never read a Xanth novel before you may want to read a physical copy of one of the beginning novels to familiarize yourself with the fantastic world Anthony has created. Believe me, you won't be sorry. I haven't read a story in the Xanth Series in a long time but this one has made me want to catch up on all I've missed. Perfect for a Fool's day book club. 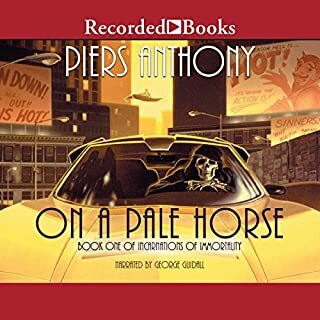 Lots of twists and turns and full of puns, just as you would expect from Piers Anthony. The narrator is awful. And while the early Xanth novels are Great, this one is unbearable. Anthony goes Way overboard with the puns the farther into the series you go, and this is the worst yet. On top of that, this novel harps on an extremely crude and insulting view of sexuality and the relationship between men and women. this was a good book.. I felt it ended a little quickly with a strange sort of shortness to it but it was easy listening. the subject is something I would or let kids listen to.. it is by no means adult just a little much for a child. it was nice to get back into the Xanth stories. Up to usual quality. It's incredibly flat and often takes meaningless detours just for the sake of a pun. I also didn't like the humor so maybe it just ain't for me. The narrator more than often puts the wrong emphasis on words which messes up the rhythm of the text. I got a few chapters in before I decided to let this one go.